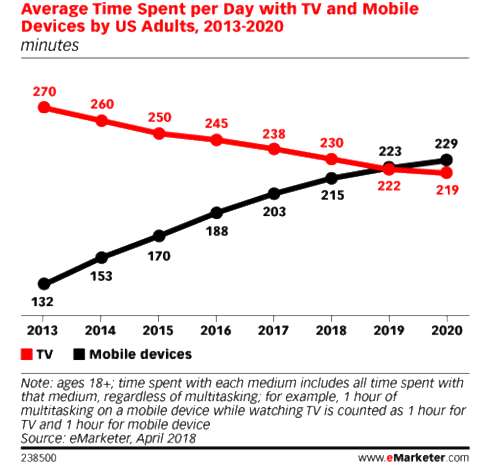 Goodbye television viewing – Hello mobile content marketing! Are you scratching your head wondering what you missed? Maybe you were too busy binge watching the latest offering on Netflix. Don’t worry–I get the guilty pleasure of being a couch-potato. Is your content marketing ready for this shift? Or, do you feel smug because you’re a B2B marketer? Don’t be–this news also applies to you! Tap into other people’s audiences to get access to established app audiences. 38 billion streamed or downloaded videos worldwide by the end of 2018. 4% of digital video is viewed on a mobile phone and 2/3 of video views take place on YouTube. Chat app usage drives video streaming use and will account for 55% of streamed video by the end of 2018. 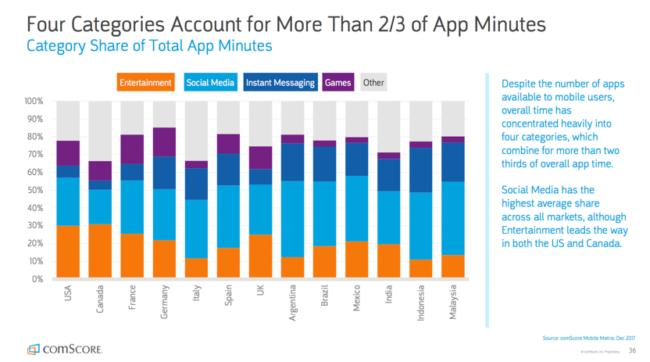 Understand how, where and when your audience uses their smartphones. Context matters! 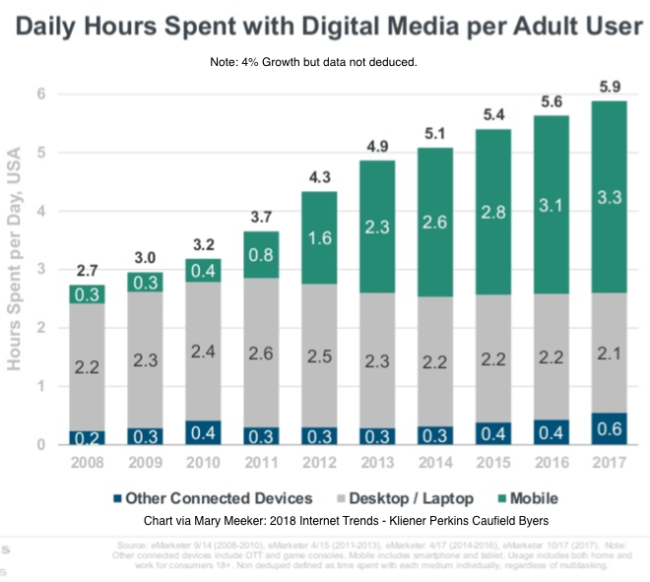 Despite declining tv viewing, television content consumption habits have changed. 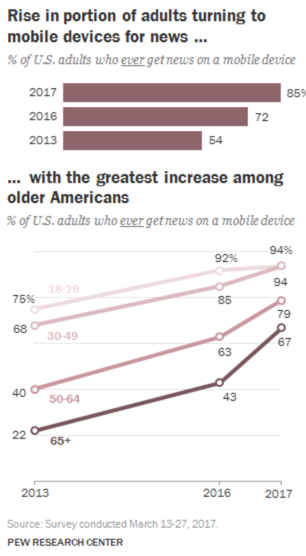 Increased quality video content consumption has moved from TVs to smartphones. 1. Consumers seek and pay for streaming content subscriptions. 2. Consumers binge on streamed content. While the number of OTT (aka: over-the-top) plans increased in 2017, viewers sought long format content such as television shows and movies. On average, they binged on 7+ episodes at a time and often view it on a mobile device. 3. Consumers want video content on their terms. They want to view it when, where and how they want. Further, they want to be able to watch it across multiple devices without ads. 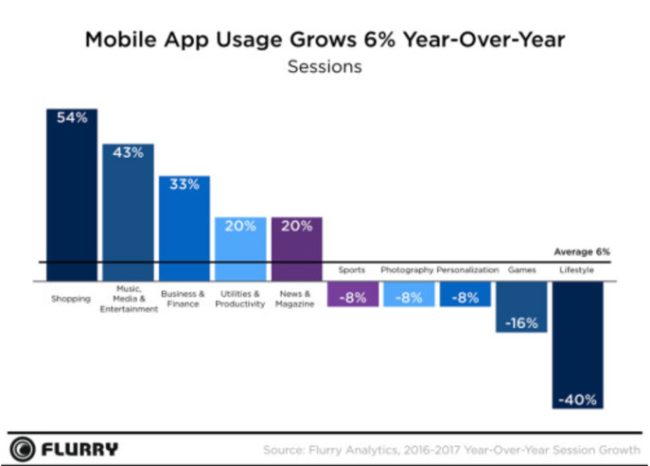 Mobile first is no longer nice-to-have. Rather it’s a must-have or a good portion of your target audience may miss your message. This includes B2B marketers where capturing audience attention is complicated by the fact that your audience may have more than one smartphone or do their online searching outside of office hours and equipment! As a result, your website, blog, email and other content must render well on a smartphone. 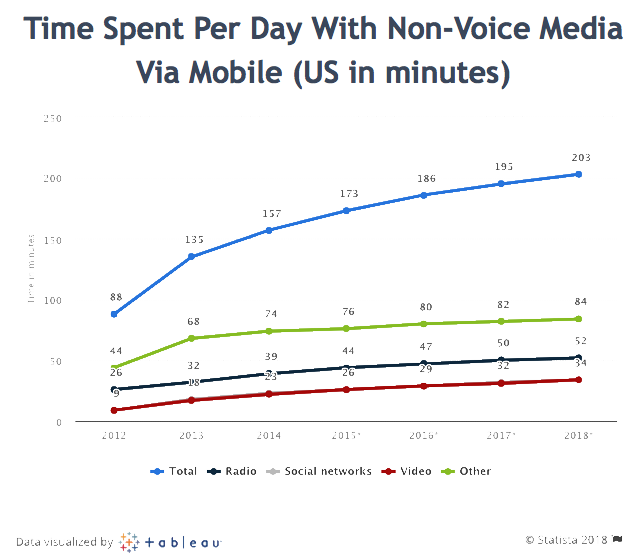 This has 3 implications for your mobile content marketing. You can’t assume that your audience will proactively seek your information when they reach for their smartphone. 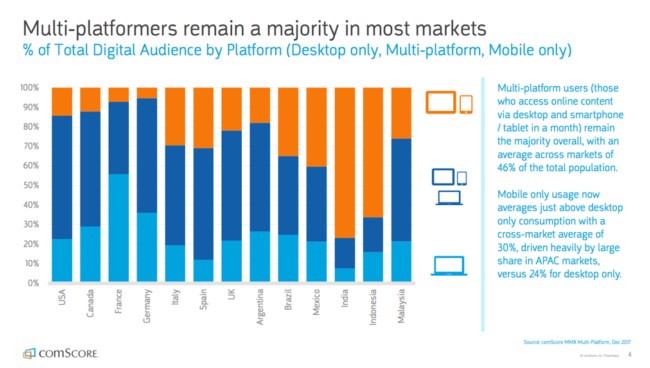 Smartphone screens are crowded. Further many people organize their mobile screens by function or, worse, they have no organization! Mobile search. In addition to a separate mobile search budget, use search-like sites such as Yelp and TripAdvisor. Also consider voice search! Mobile website. Optimize it for the activities on-the-go. E-readers. 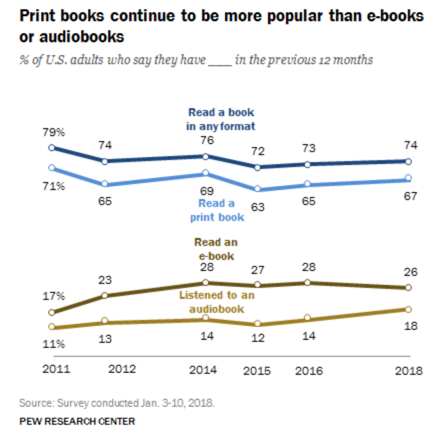 For longer content this includes Kindle and iBooks. iTunes and mobile audio gateways for podcasts and audio books. Advertising including search, social media and other apps. 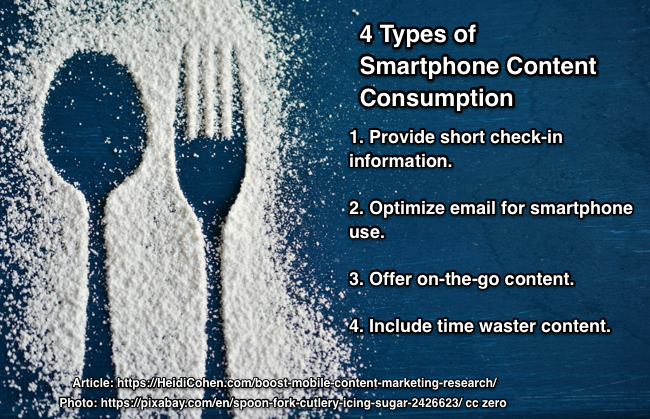 Understand your audience’s smartphone usage and content preferences. Include this information in your marketing personas. Use multiple content formats. Offer text, visuals, video and audio to satisfy different audience preferences and expand your audience. Diversify your content distribution across smartphone options. Your objective is to increase findability and visibility. Bear in mind that smartphones are generally personal devices that may be used concurrently with other connected devices or during otherwise content-free time. 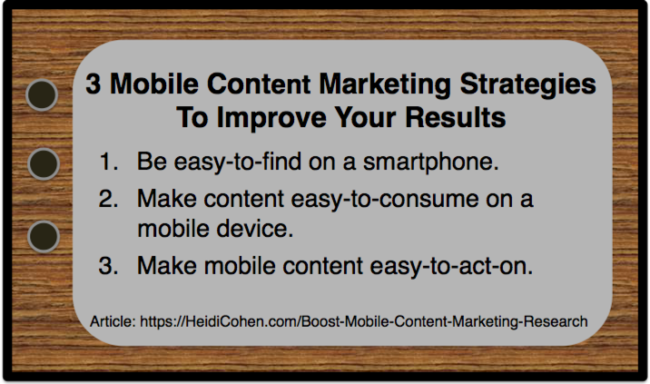 As a result, your content must standout in the mobile context in which it appears. To this end, attention-getting visuals and strong, mobile optimized headlines help. Provide short check-in information. Let your audience catch up on the latest news via newsfeeds, social media and/or text messages. Optimize email for smartphones. Email-on-the-go is a good way for people to plow through their overstuffed inboxes. Therefore make your emailings easy to respond to using your subject line and sender ID or risk being deleted without being read. Offer on-the-go content. Allow your audience to read or listen to your content while doing something else like commuting, driving or working. Include longer form information and downloads, books (via Kindle or iBooks), video, and audio content (such as podcasts and audio books). Include time waster content. While this may be what your audience actively seeks, it doesn’t work for every business. It includes social media, funny videos and games. Offer audience different content serving sizes. Let your readers decide the amount of content they want as well as when, where and how they want to consume it. Create short, teaser content. Your objective is to stand out and be noticed in your audience’s feeds. Allow readers to save content for later use (such as Pocket) or to share it. Use multiple content formats. Offer text, visuals, video and audio to satisfy different audience preferences as well as to consume in different environments. 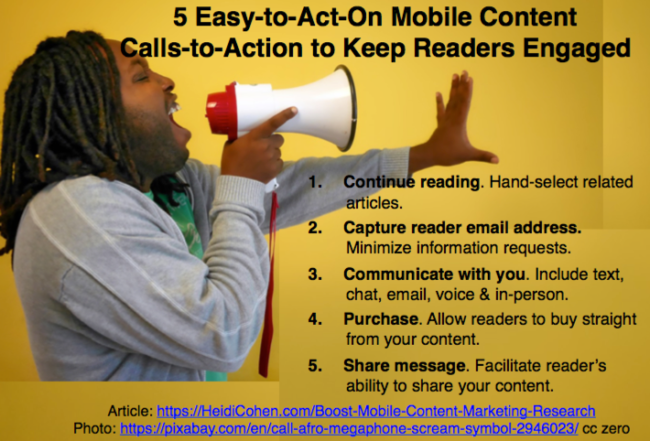 Easy-to-act-on mobile content removes friction that prevents readers from taking the next step. Continue reading. Like Netflix, hand-select and offer related articles. Capture reader email address to maintain communications. Keep signup simple and minimize your information requests. Communicate with you. Include a variety of options such as text, chat, email, voice and in-person. Purchase. Allow readers to buy straight from your content. Share message. Facilitate reader’s ability to share your content. Always include a contextually relevant call-to-action. Make every piece of content an entryway to building a deeper relationship, regardless of platform or format. Use trackable landing pages. Focus options on the next contextually relevant action and make it easy for people with big fingers to use. The time has come to be mobile first to serve your maximum potential audience. You can no longer hope that winging it or your desktop content will provide a satisfactory mobile experience. While consumers have changed their television content consumption habits, they’re watching less of it on big screen TVs. 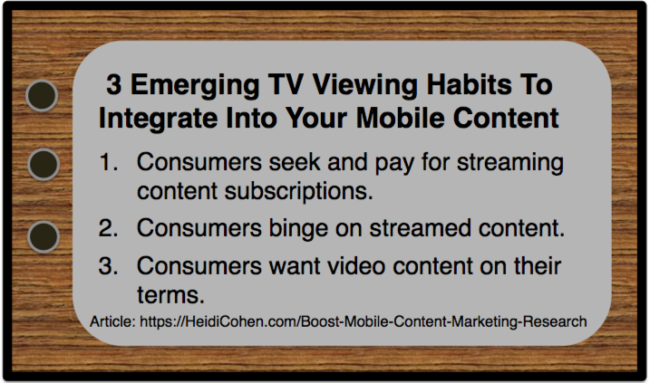 Profit from these emerging television content consumption habits. They’re proven. And, even better for you, they’re moving to smartphone’s small screen. 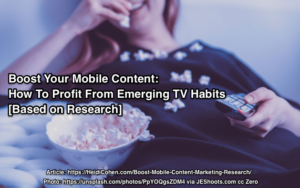 Build these 3 television-based habits into your mobile content marketing. Tags comScore, Deloitte, eMarketer, FLurry, Mary Meeker, Mobile Charts, Pew Research, Research, Statista. Bookmark the permalink.